Kids Arts And Crafts Kits come in just about every theme imaginable. You can find Spring, Summer, Fall and Winter craft kits. Beach, Fourth of July, Halloween, Thanksgiving, Christmas, Snowman, Angel, Reindeer, Valentines Day, St. Patricks Day, Easter...which holiday did I forget? Any of these would be perfect for kids birthday party craft ideas. Look at this Snowman Craft Kit for Kids...it's a fun and easy craft project that your kids will enjoy! 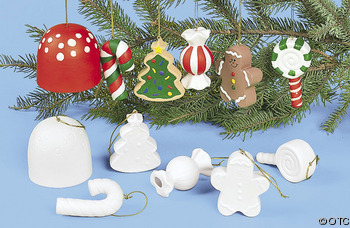 These kids arts and crafts kit will make 8 Christmas ornaments. Each kit is individually wrapped and contains the self adhesive foam pieces and a cord to hang your completed project. It is perfect for a holiday or a birthday party. You can keep a craft supply box in your house at all times. That way, it's always waiting for you. It's perfect on a rainy day, a snowy day or before a holiday. Use it to make gifts and to teach your children the art of crafting. Crafts help kids to use their imagination, and helps them to learn how to make things themselves. It's simple and it's fun to craft with your kids any time of the year. Take a look at these simple kids craft ideas...great for the holidays or kids birthday parties.